With an Infrared Web Dryer System, you can help expand advertising revenue by offering sharp, glossy special sections. By adding revenue back from real estate, automotive or other specialty businesses, proﬁts will increase substantially for you and your advertisers, customers. Increase your readership and pick up rate by delivering a snappier looking product. Consumers have come to expect high quality graphics, and now you can deliver that in a timely manner. 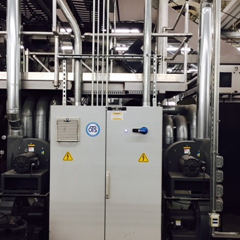 You can now combine coldset and heatset in one press run. 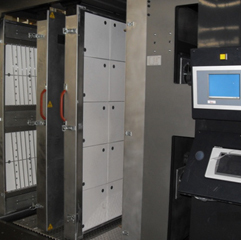 Today's printer faces increasing demands for vibrant, clean, sharp 4 color printing. 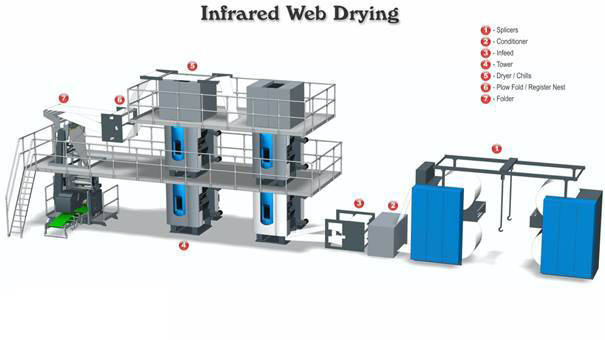 It is now possible for you to meet those needs with the Infrared Web Drying System. This is a revolutionary breakthrough, which enables the coldset printer to produce a quality, eye catching printed product for a fraction of the investment and without the limitations of traditional heatset printing equipment.